Tap the rotation button on the left side of the playback screen. The rotation button is locked and screen orientation is kept even though you change device’s orientation. * At this time, the ‘Settings tab → Playback → Screen Orientation’ setting is changed to ‘Landscape’. * The screen is rotated 180 degrees only when the device is rotated 180 degrees. 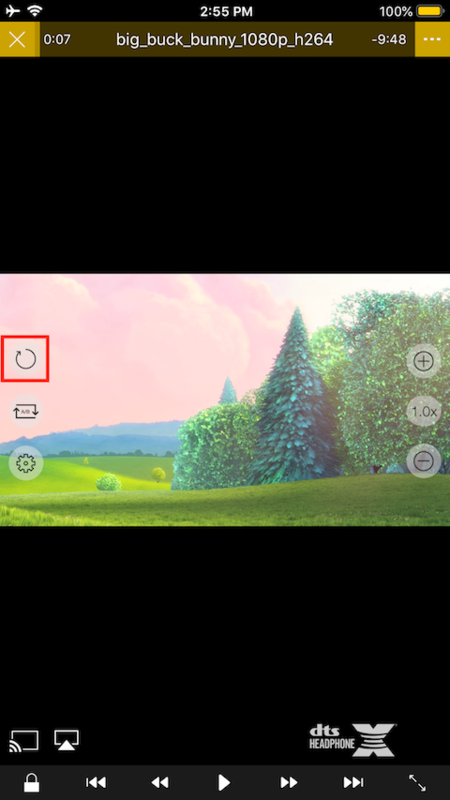 When the button is unlocked, screen orientation depends on the orientation of the device. 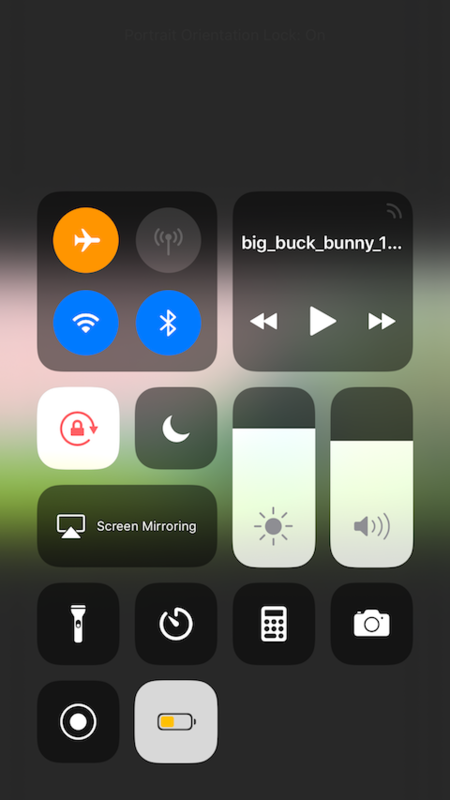 * From the control center, if the Portrait Orientation Lock is on, the nPlayer playback screen won’t rotate as you move the device. 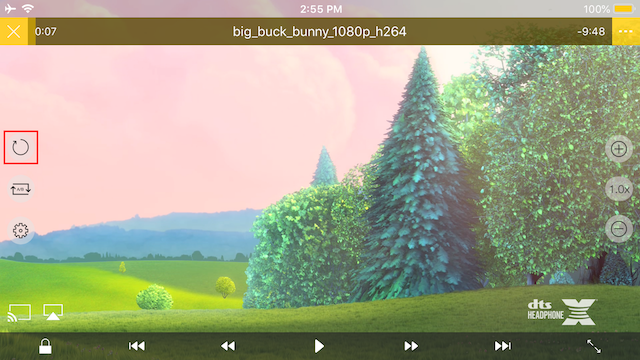 nPlayer v3.3.0 version and later started to support Split View which is one of iOS multitasking feature. However, due to the structural issue of iOS, it is needed to remove the fixed screen orientation feature from the devices that support Split View and Slide Over. Activating Split View cannot be dynamically set in the program, and Split View and fixed orientation feature cannot be set in the app at the same time. We look forward to your understanding.